ORDER by email: You may order by email. Simply list the items you want by emailing us at: admine@TheViperStore.com Be sure to list the part number with each item you want. Factory original touch up paint. One bottle. We highly recommend that you apply a gloss clear coat (see product below) over this paint once dry to match your cars shine. All touch up paint colors we mix require to be clear coated for proper shine, match, and durability. Clear coat is one of the most important stages of a great touch up. It can be water sanded and compounded with rubbing compound for a better blend if desired. 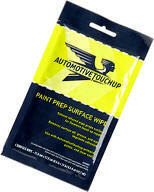 Touch-up clear also provides a more uniform finish that matches to your original paint. Exact paint color match for your Viper. Clear coat spray paint cans are designed for a great shine. It protects the basecoat color and is more chemical and friction resistant. Basecoat is by nature a dull paint, while clear coat is what makes the auto paint glossy which help the paint match the OEM finish. The key to a good touch up paint job is the preparation. Your paint will stick better. Spray prep solvent directly over the surface to be painted. Wipe off with a clean lint free paper towel or rag. This product removes oils, road grease, dirt, car wax, and other surface contaminates. For use with touch up paints, spray paints. Wipe. 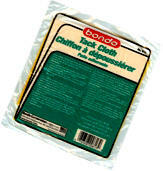 After you use the solvent prep above - Use a tack cloth to remove dust and lint between coats of paint. Use with gentle pressure in between dry coats of paint. It folds out in layers so one cloth goes a long way. Also known as a tack rag.